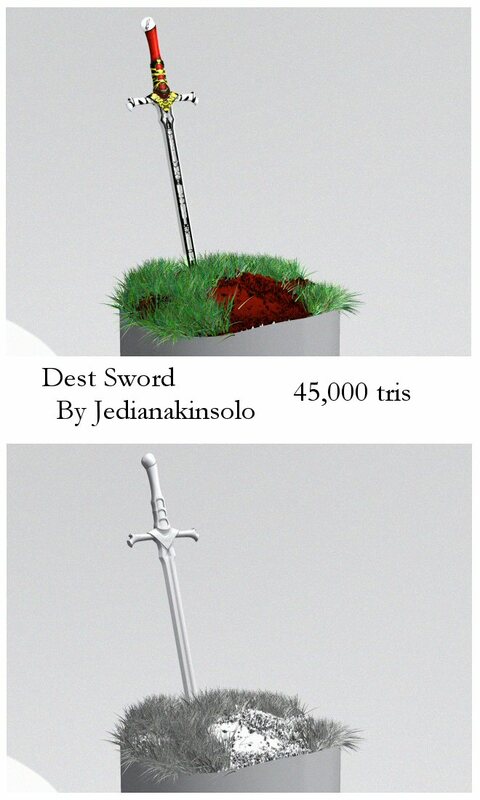 One of my pet peeves is designing swords. I doodle them all the time. 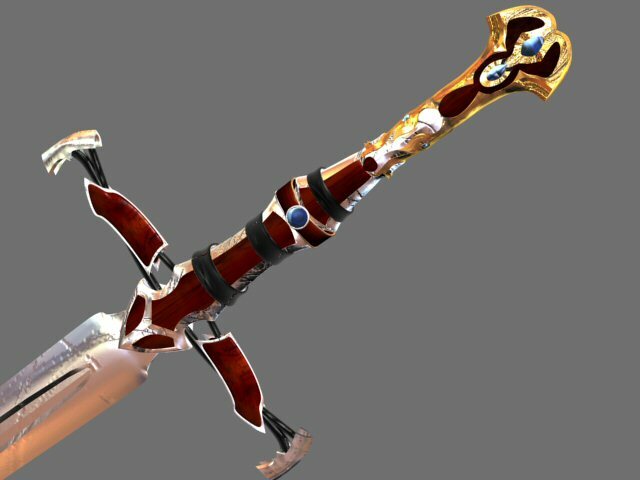 Every once in awhile, I accidentally design a sword I really like. Sometimes I model them. Every once in awhile, a model turns out like I like it, so, here's two of them. The first is one is "Hopeful blade" Don't ask me why, because I'm not sure. Just something to name it by. If you think of a really fancy name, send it to me. Excalibur doesn't count. 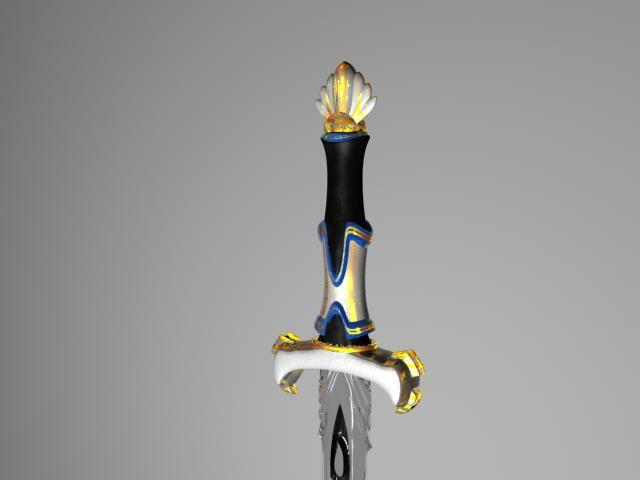 The next sword was actually modelled around the time I modeled the above sword, about a year ago, and finally I'm getting around to skinning them good and rendering them. This one is my first experience with the Hair and Fur modifier in Max 8, and I love it. I used Mental Ray GI, and Final Gather (absolute overkill), and three - four lights, and a good chrome material. 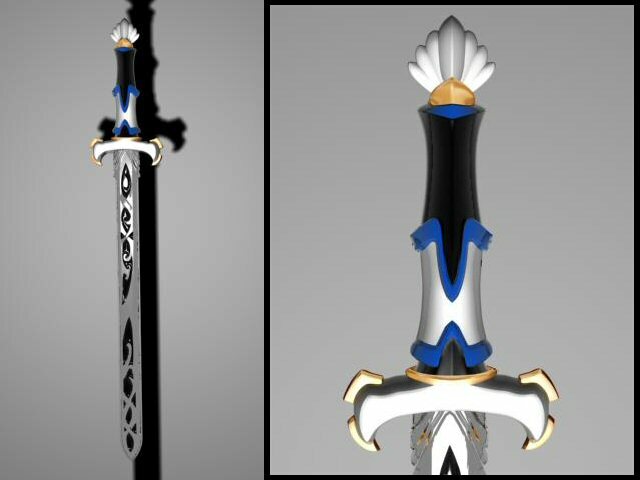 Another sword design I had somewhere, one of my more recent ones I think. I'll probably redo the skin on the blade, but everything else is more or less finished. 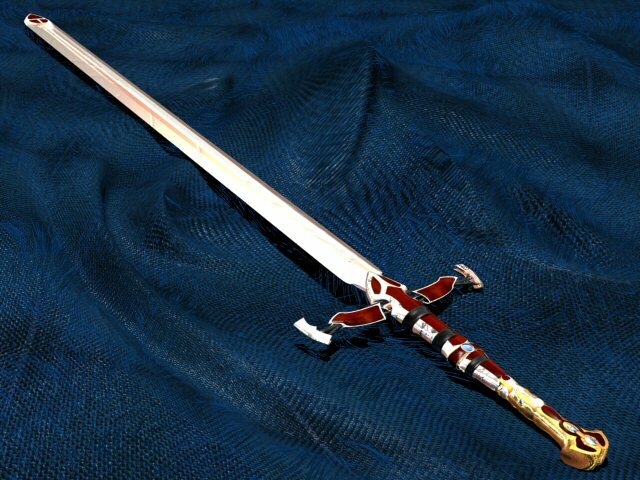 The Eagle Sword.